A Manchester primary school has recruited a full-time therapy dog to help boost pupils’ self-esteem and wellbeing. 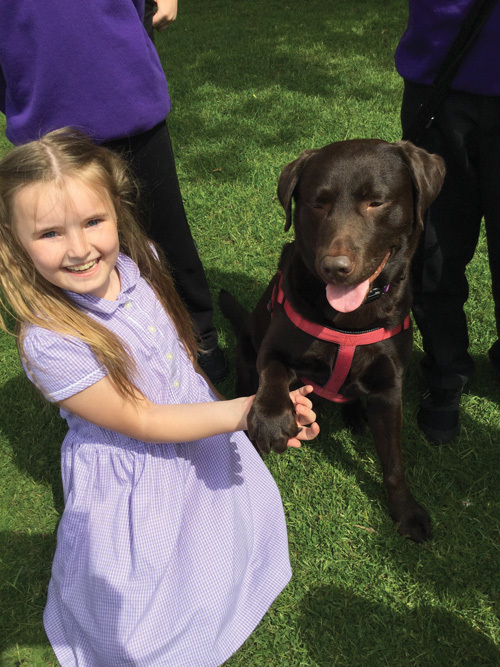 George, a four-year-old chocolate Labrador, has been working at Radcliffe Primary School for three weeks, helping put pupils at ease, solve disputes and act as an incentive for well-behaved pupils, who get to take him out for a walk. The new recruit belongs to Radcliffe Primary School’s assistant headteacher Rebecca Kenyon, who brings him in to the school every day. He lives in executive headteacher Nicola Nelson’s office while on duty and joins pupils on the playground during break times. 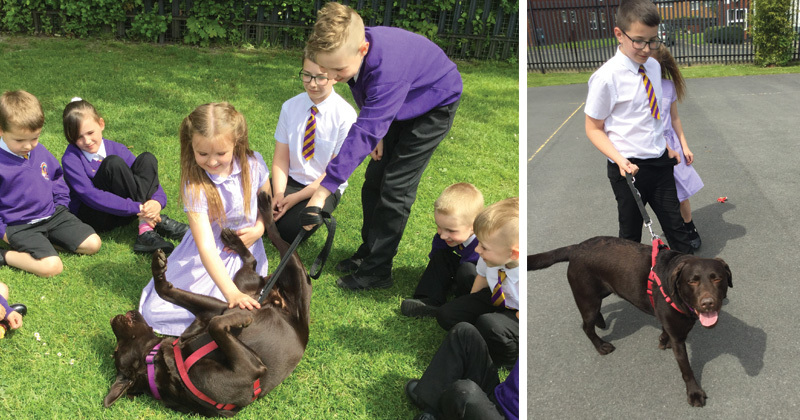 “We read quite a lot of things about how dogs in schools create a calmer atmosphere, and give children an opportunity to take some responsibility that they perhaps might not have in their home life,” explained Kenyon. Since starting in the role, following a full risk-assessment and health and safety checks, the pup has become a local celebrity. A daily dose of dog isn’t the only strategy the school, which is a member of the Bury College Education Trust, has in place for helping with pupil (and staff) wellbeing: an in-house counsellor is available for pupils and teachers three days a week.